Dream: Our family gets all bundled up and heads to the snowy hill country to cut down our own Christmas tree. On the way we drink hot chocolate and listen to Christmas tunes. We trudge through the snow to select that perfectly shaped fraser fir to take home and decorate for the holiday season. What joy! What memories! 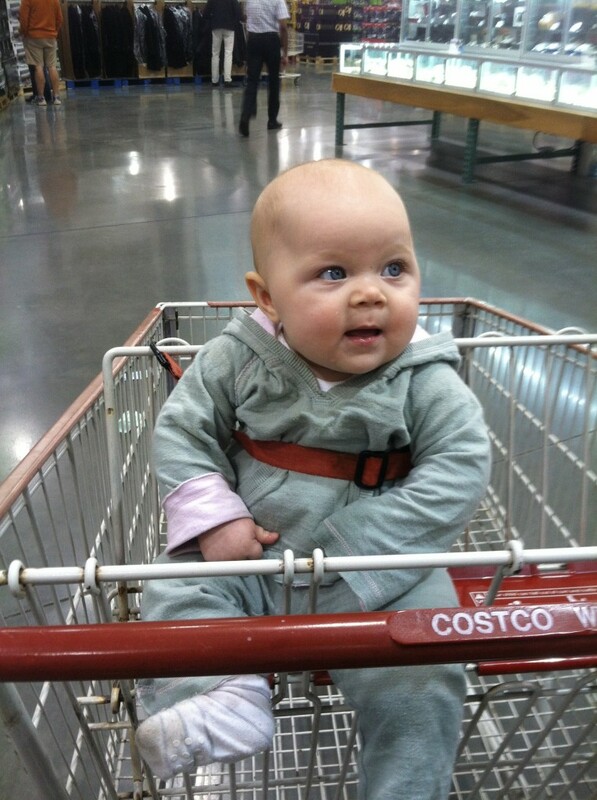 Reality: Trees at Costco are 27.99 plus tax. 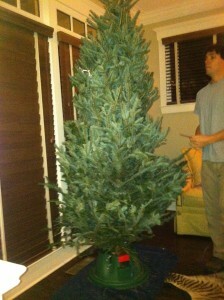 That’s half the price of a tree from Big Johns or Home Depot and half the hassle of cutting down our own. Sold. But here’s the catch. It’s a bare bones operation. You don’t get to walk acres or isles of trees to choose the most full and perfect. In fact, you don’t really get to see your tree at all before you buy it and get it home. You simply present your receipt to the man standing by the large truck in the Costco parking lot and he takes out up to three wrapped trees from the hundreds he has in the truck. You have to pick one of the three. It’s kinda like a gameshow. The trees are bundled tight in their mesh wrapping, so we used our best judgment to *hopefully* pick the best in the bunch. No unwrapping allowed. 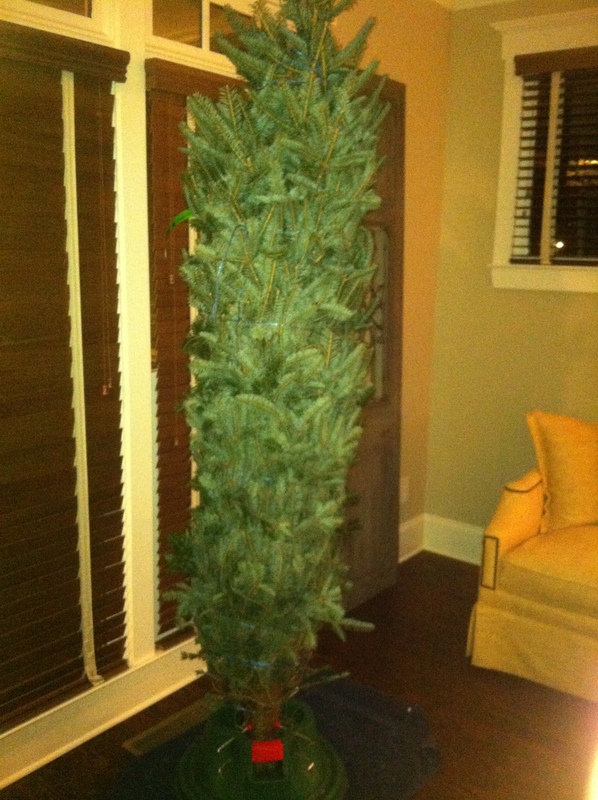 This is the second year we have gotten our tree from Costco, so I guess you could say this is our family tradition…? Only last year, they tied the tree to the top of the car. There must have been some lawsuits or something because this year we had to do it ourselves. 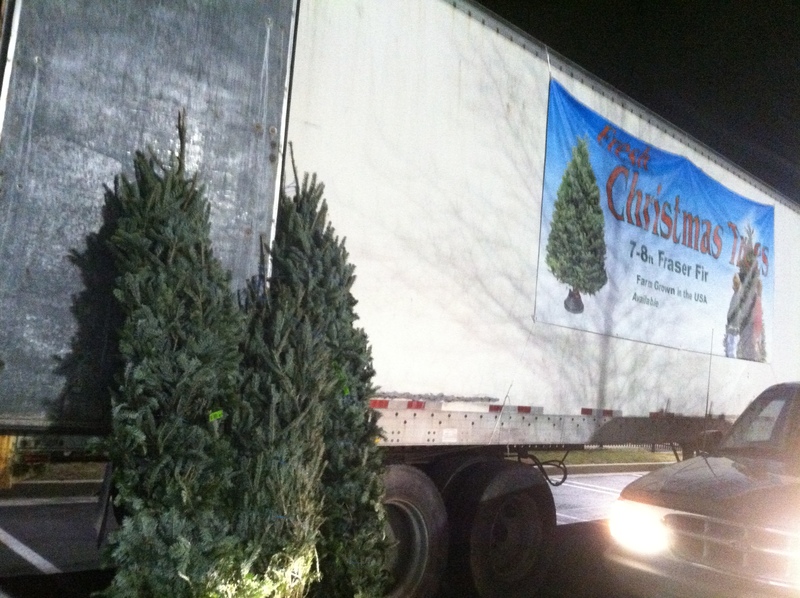 The tree truck man said he wasn’t even allowed to help supervise or offer tying tips. Eeeks. So I nominated myself for the job of tying the tree securely to the top of the car because I’d recently watched an episode of the Barefoot Contessa wherein she ties a stuffed pork tenderloin with butcher’s twine. Honestly how different could it really be? Apparently very different. We were barely a mile away from the Costco parking lot when the tree started moving. 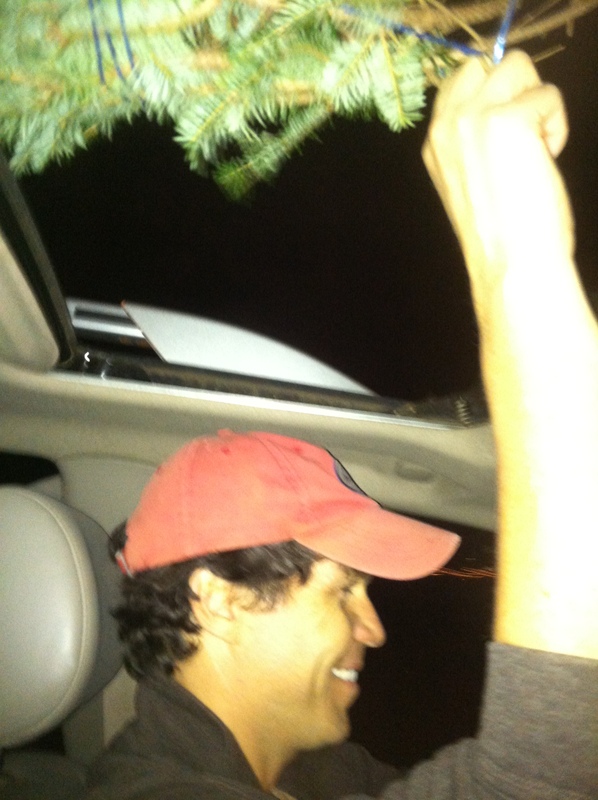 So we opted to take the slower scenic route home and took turns reaching out of the sunroof to hold the trunk. Fortunately, we made it home without losing any branches or causing any collisions. 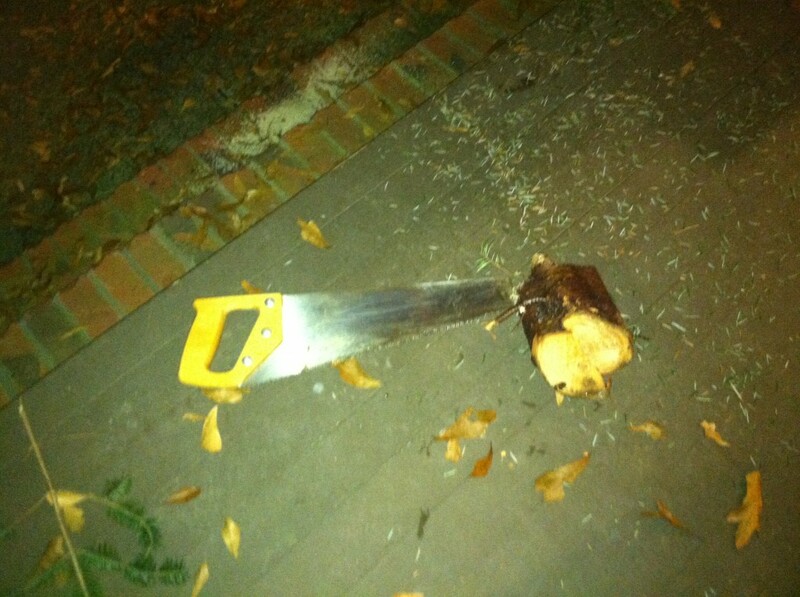 Once we got home, it was time to give the tree a fresh cut to even out the catawampus stump (they don’t help you out on that one either). 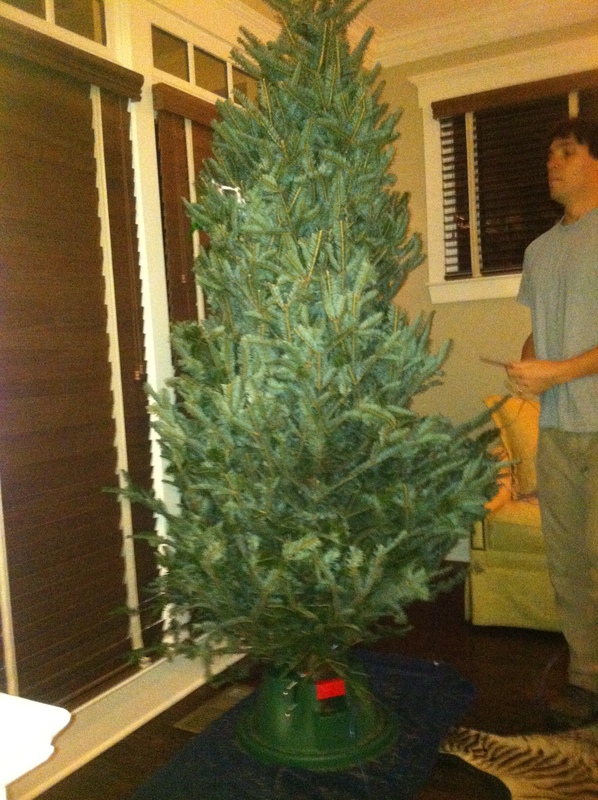 It’s harder than it looks but my woodsman took care of it on the front porch while I put the wreath on the front door. A solid 8 out of 10. Points deducted because she is a little thin and narrow. 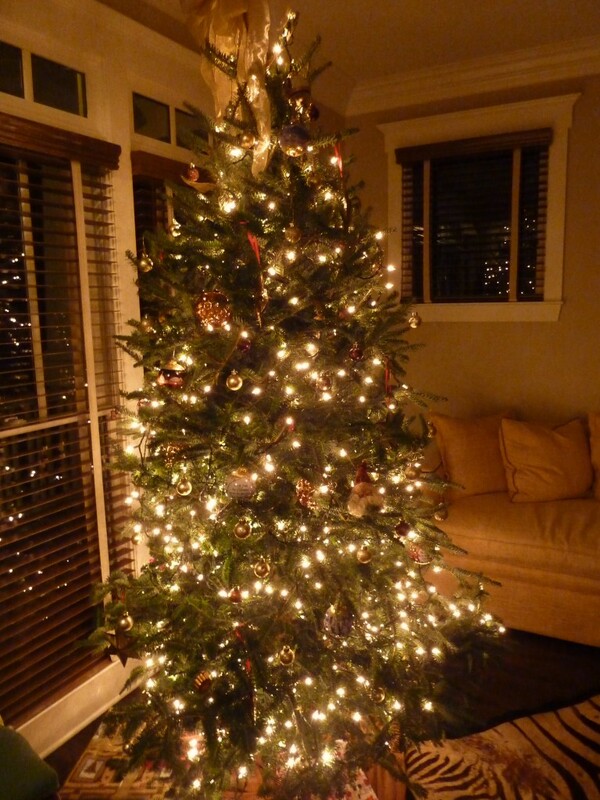 Nothing that couldn’t be fixed by lights, a few ornaments and the magic of Christmas. Behold the magnificence. 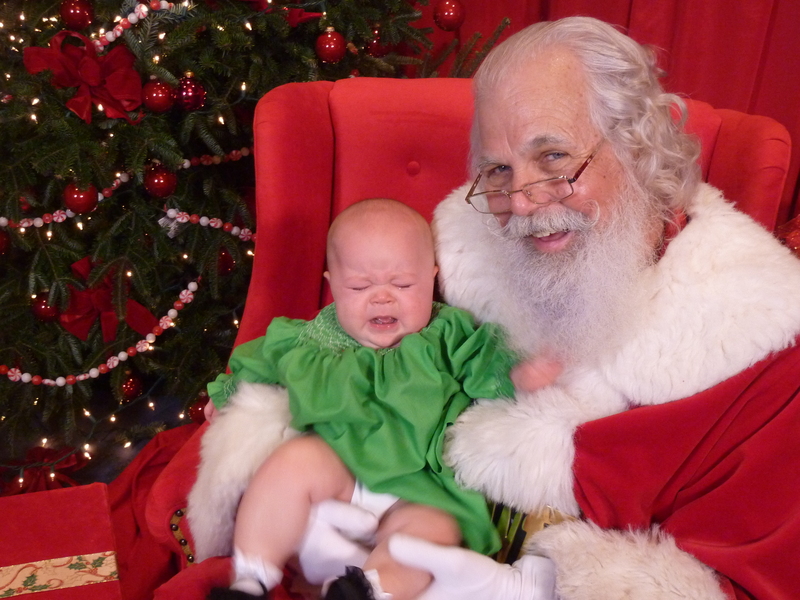 In other December happenings, we took Harper to see Santa. I couldn’t resist dressing her in a dress that I wore when I was little bitty. It was hand-smocked by my grandmother who lovingly made a matching dress for me and each of my girl cousins. 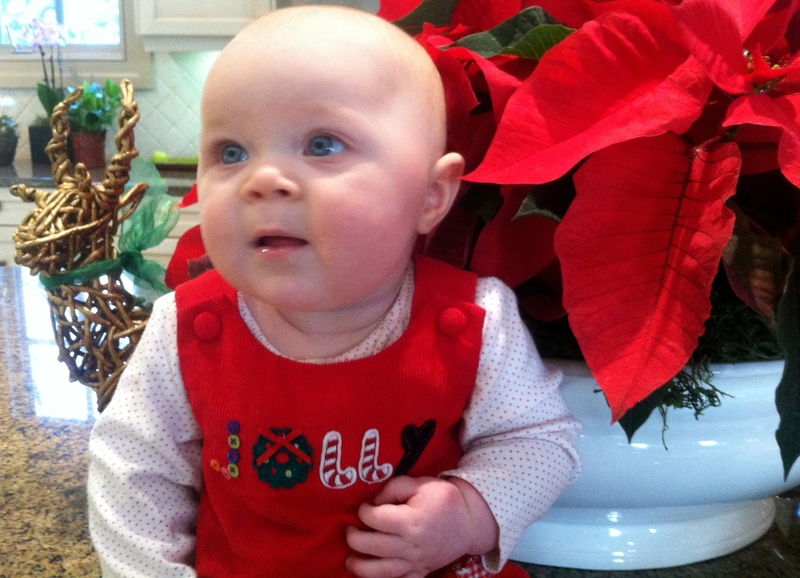 That Baby looked absolutely precious and was all smiles until we handed her off to Santa. She looked at him with a mixture of confusion and who the hell are you, took a tug of his beard, and then lost it. 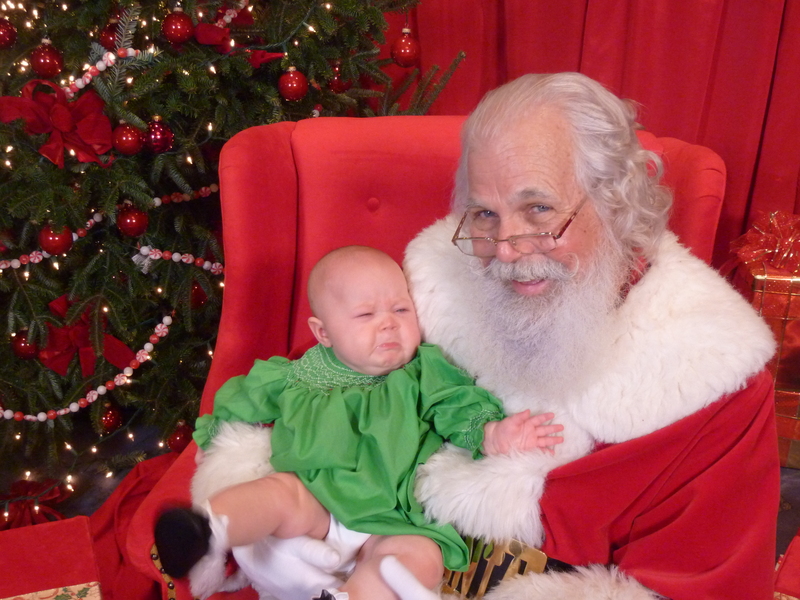 Maybe next year she might understand more of Santa’s connection to gift giving and their time together will be tear-free. She likely won’t remember her first Christmas tree, the tumble she took of the sofa while we were decorating it, or her first visit with Santa, but we will. And the best is yet to come. It’s only Christmas Eve Eve Eve.